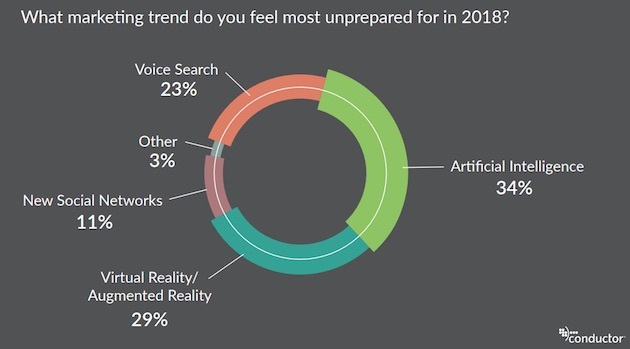 Marketing executives say artificial intelligence, augmented/virtual reality, and voice search are the 2018 trends they feel most unprepared for, according to recent research from Conductor. 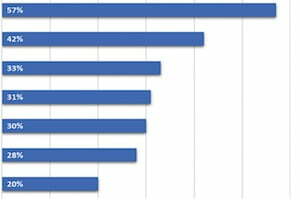 The report was based on data from a survey of 500 marketing executives (29% work for B2B firms, 14% work for B2C firms, and 26% work for hybrid B2B-B2C firms). Some 34% of respondents say artificial intelligence is the 2018 trend they feel most unprepared for. 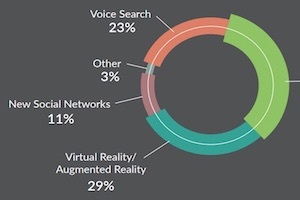 Another 29% cite augmented/virtual reality, 23% cite voice search, and 11% cite new social networks. 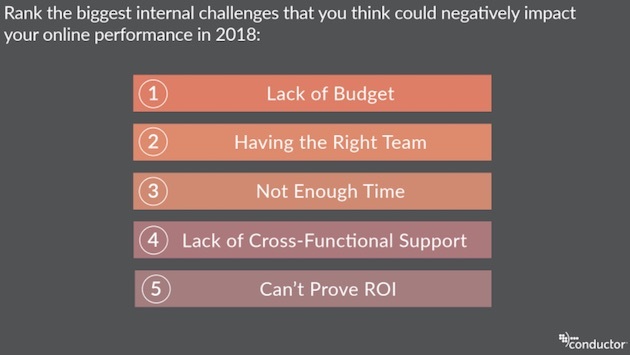 Marketing executives say the biggest internal challenges that could negatively impact their 2018 online performance are not having enough budget, not having the right team, and not having enough time. About the research: The report was based on data from a survey of 500 marketing executives (29% work for B2B firms, 14% work for B2C firms, and 26% work for hybrid B2B-B2C firms). Join over 600,000 marketing professionals, and gain access to thousands of marketing resources! Don’t worry … it’s FREE! Does Amazon Compete With Its Own Merchants?